Whether you are currently going through a divorce or considering one in the future, it is important for you to know your rights. 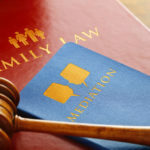 When parents divorce, the divorce decree will specify with whom the children will live and how often the other parent will visit. It is in the best interests of the children if the parents can work out these arrangements between themselves. However, if they can’t, the court will make the decision for them. A typical visitation scenario is when one spouse becomes the custodial parent and the other is the non-custodial parent. The non-custodial parent has visitation pursuant to a schedule and usually consists of overnight stays every other weekend as well as alternating holidays. Sometimes a during-the-week visit is scheduled. 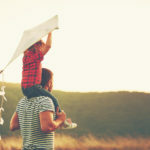 If you are divorced and the non-custodial parent of your children, you may be concerned about the amount of time you get to spend with them, especially if your ex is giving you a hard time – changing times or days, not allowing visits, etc. If you are concerned about playing a role in your child’s life, contact the Family Law Offices of Amy M. Montes in Orange County to discuss your rights and understand your options for spending time with your children.